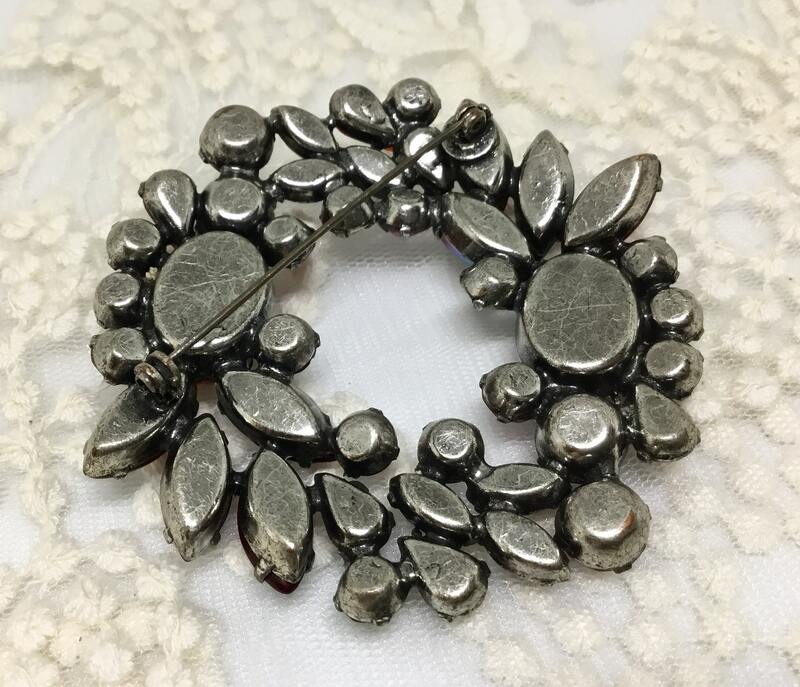 This is an amazing large silvertone unsigned vintage D & E Juliana wreath brooch. 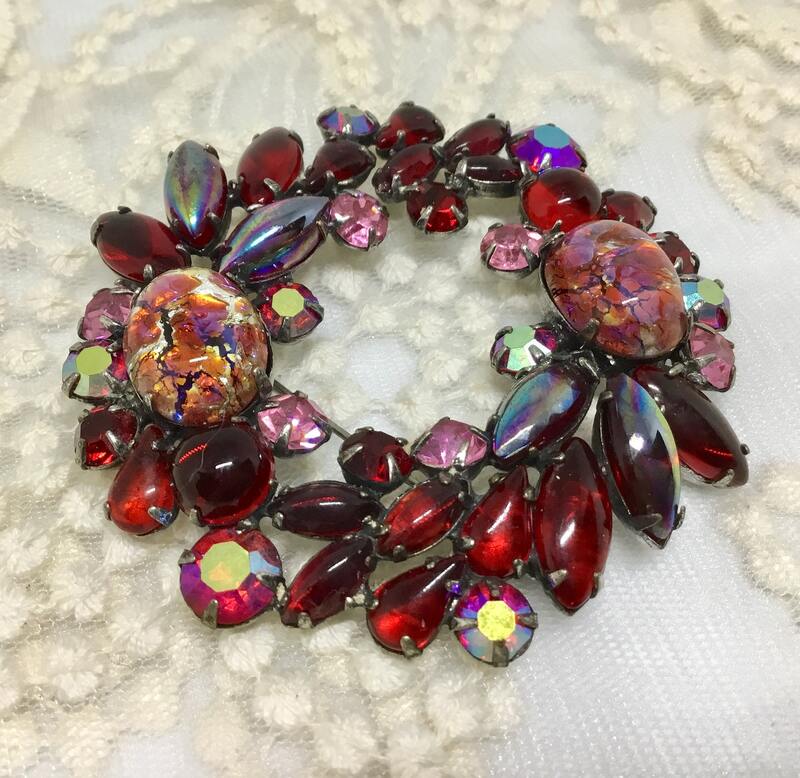 This larger heavy brooch has two focal points of large art glass foil cabachons in shades of golds and reds. 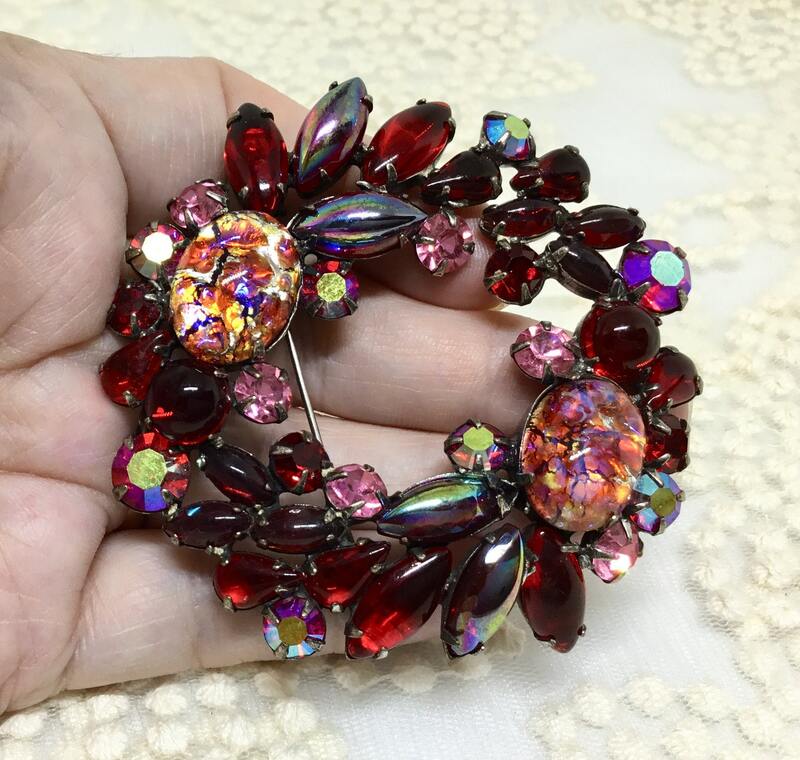 There are pink, red, and red AB rhinestone faceted and prong set chatons. 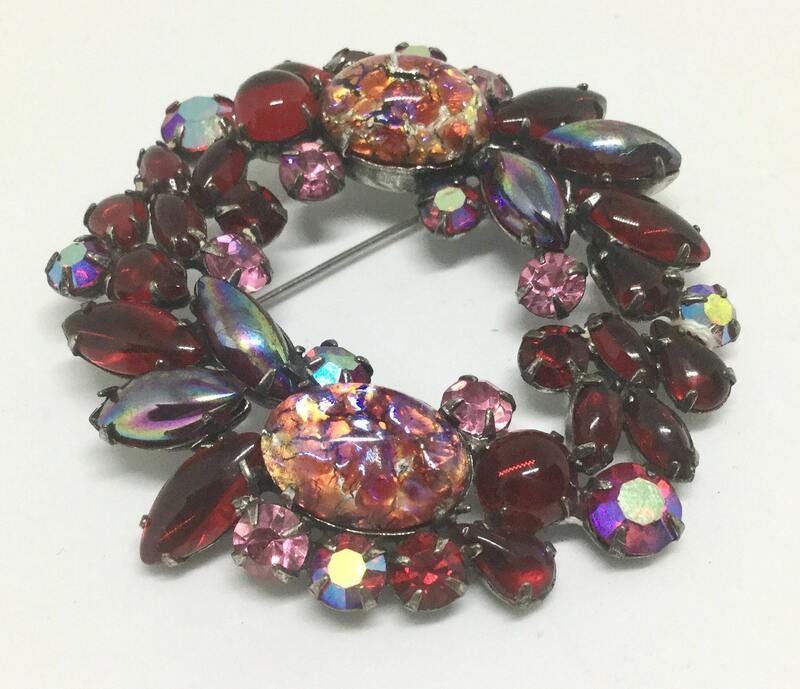 There are smooth red glass cabachons, teardrops, and navettes again all prong set. 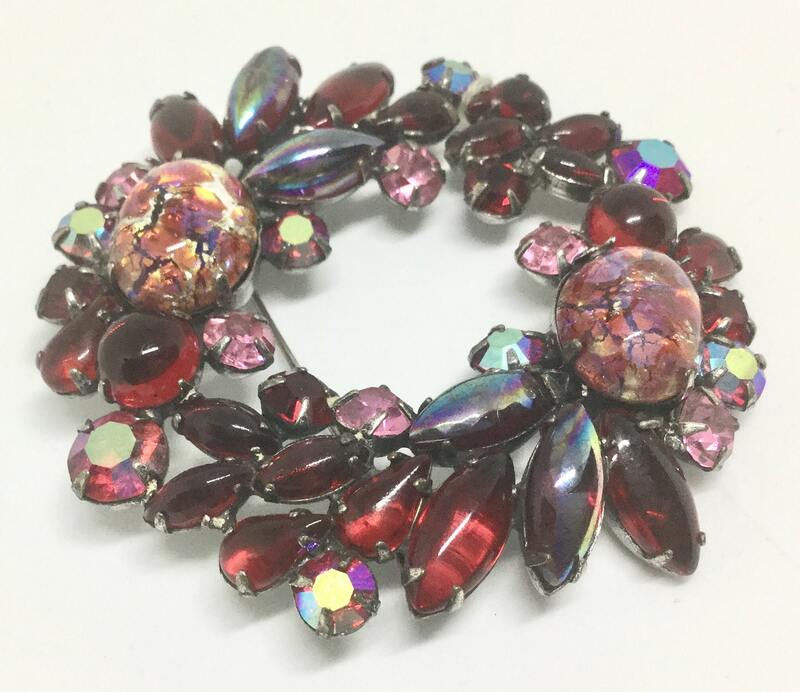 And there are four smooth darker red navette stones that look like Carnival Glass. 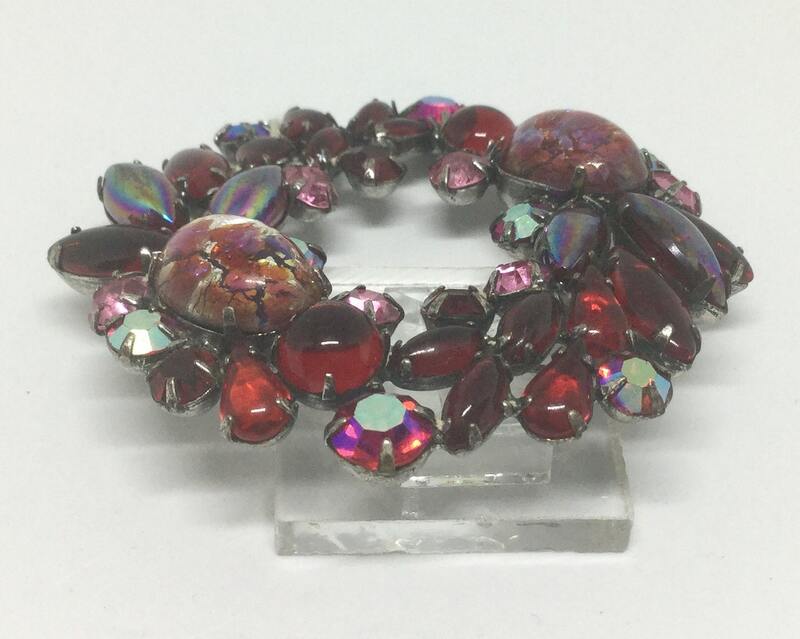 It measures 2 3/4” in diameter and the pinback is straight and works smoothly and securely. 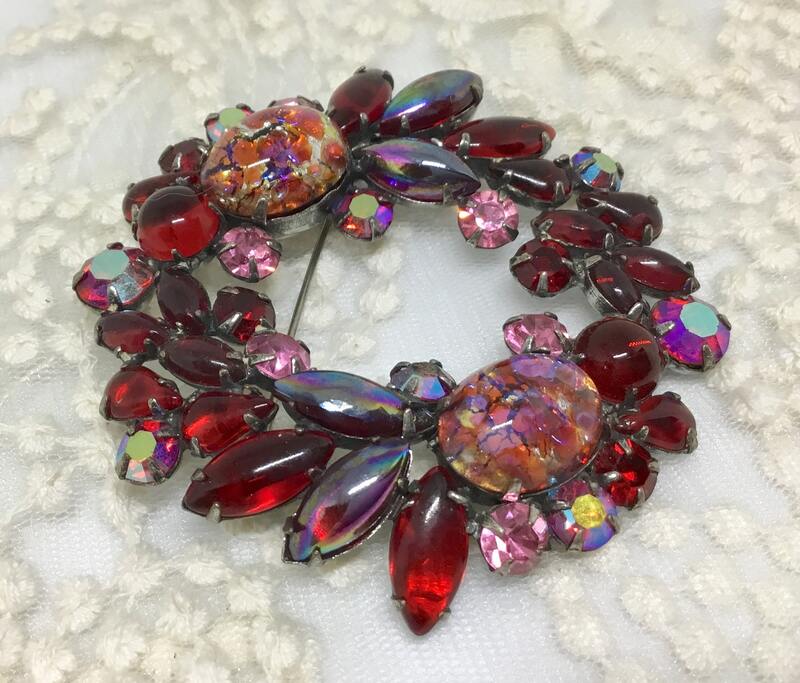 There is vintage wear to the silvertone finish on the back of the brooch. 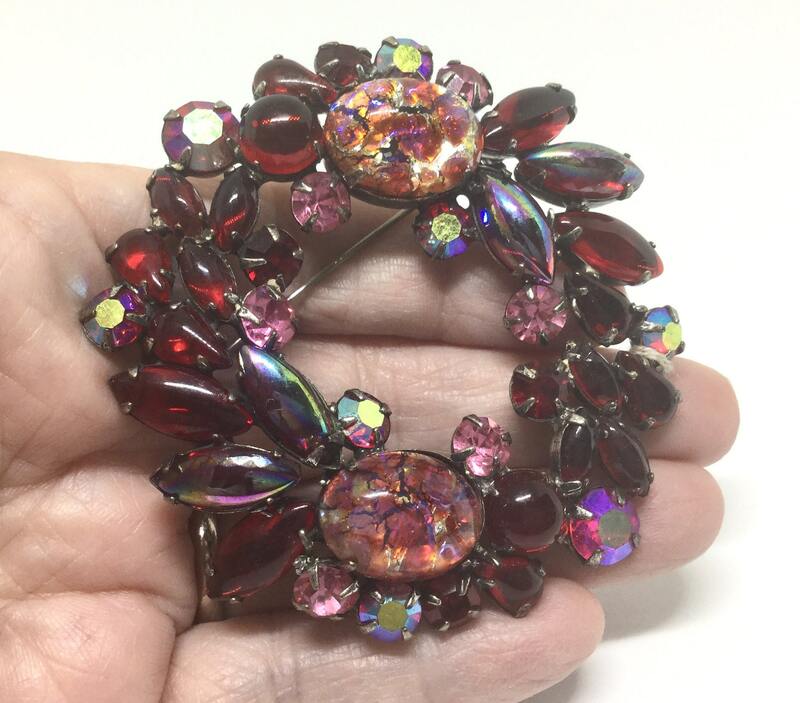 I was told that this was a verified D& E Juliana piece from a Juliana verification site....I have not been able to personally find this. 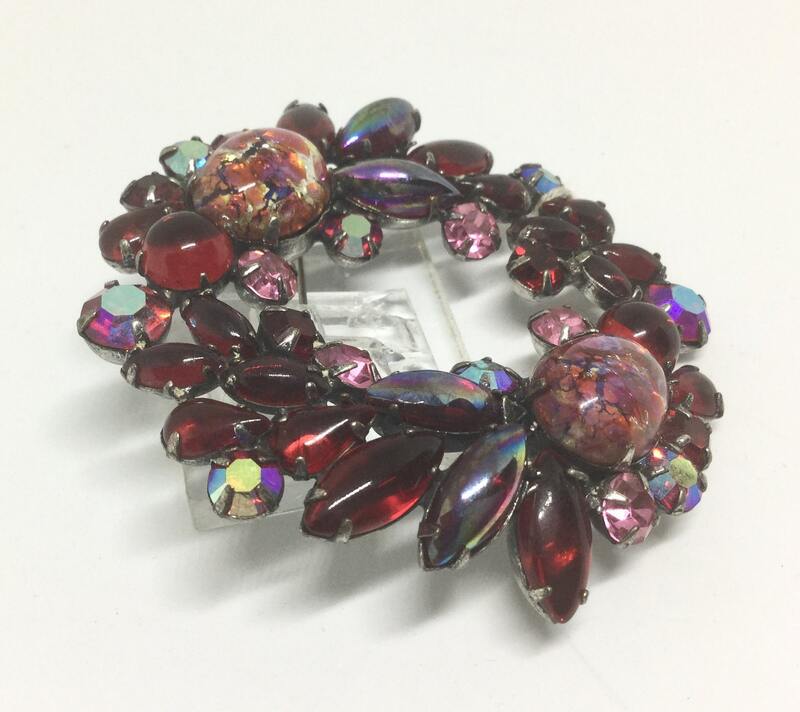 This is a beautiful and amazing brooch with unique components and rich colors!